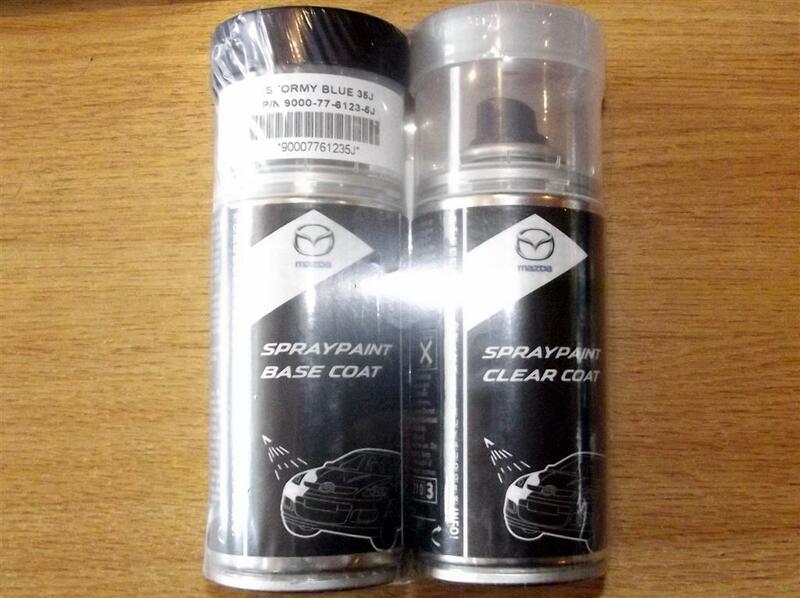 Paint spray kit, genuine Mazda Stormy Blue, 35N NM01340-35J. Genuine Mazda paint spray set. Kit contains 2 x 150ml aerosols, one containing the base coat and the other the clear laquer coat, it also contains a brush for touching in small areas. This is used on various Mazda models. The paint code on Mazda models is sometimes on the chassis plate under the bonnet, on a sticker by the drivers door shut or in the service book. Unfortunately we cannot ship these outside of the UK due to recent changes in the Restricted Goods Rules. We can only ship within the UK. If you can't find the right paint for your Mazda in our shop, get the paint code from the chassis plate (or the actual chassis number) and contact us, we will list it for you if it's available.